Last month we kicked off Entertainment Self-Care with “super-soft” TV, the shows and programs that help us wind down after a long, probably bad, day in our nightmare dystopia reality. Your response was overwhelming, with lots of great suggestions pouring in for more super-soft watching. So here are a few of your recommendations, culled from shows that got three or more referrals. And keep the suggestions coming, we will be revisiting super-soft TV again. The long-running animated sitcom that has given us so much, not least of which is smart, strong, sensual heroine Tina Belcher. Turns out, a LOT of you are unwinding to Bob’s Burgers, and it’s no wonder. The show has over 160 episodes and is as funny today as it was when it premiered in 2011. Featuring a stellar voice cast stuffed with comedians and headed up by the Voice of Archer Sterling, H. Jon Benjamin, Bob’s Burgers is smart comedy filled with pop culture riffs and absurd asides. If Archer runs a little too abrasive for you, Bob’s Burgers will push your animated comedy button with affectionately teasing glee. It can be streamed on Hulu. This one is actually my recommendation, I just left it off the original Super-Soft TV list (and I still can’t believe I did). Imported by Netflix, The Casketeers is a reality show from New Zealand about a Maori family that runs a funeral home. The show takes its cues from Francis Tipene, patriarch of the Tipene family and co-owner, along with his wife Kaiora, of Tipene Funerals. Francis is fussy and fastidious, lighting matches outside the restroom because “you can’t grieve properly if you can smell poo”, and he is also unfailingly kind and generous to the families with whom he interacts. Meghan O’Keefe of Decider turned me onto the show around the holidays, describing it as “The Office meets Taika Waititi”, and there really isn’t a better description. By far the most recommended show for super-soft watching, Derry Girls is another Netflix import. This one comes from Northern Ireland, and is set in Londonderry during the 1990s. Derry Girls is centered on Erin (the absolutely delightful Saoirse-Monica Jackson) and her friends as they navigate school, teenage shenanigans, and the Troubles. There is a dark thread woven into the show, and it makes a point of juxtaposing the teens’ problems with the Troubles, but it is so funny, and the kids so hilariously assholish in the specific way of teenagers, that even with that latent darkness it is still super-soft. It’s also kind of a perfect parallel to now, when so often all we have to fight back the dark is our ability to keep laughing even as everything goes to hell around us. 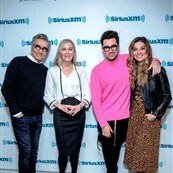 I have no one but myself to blame for coming so late to Schitt’s Creek. 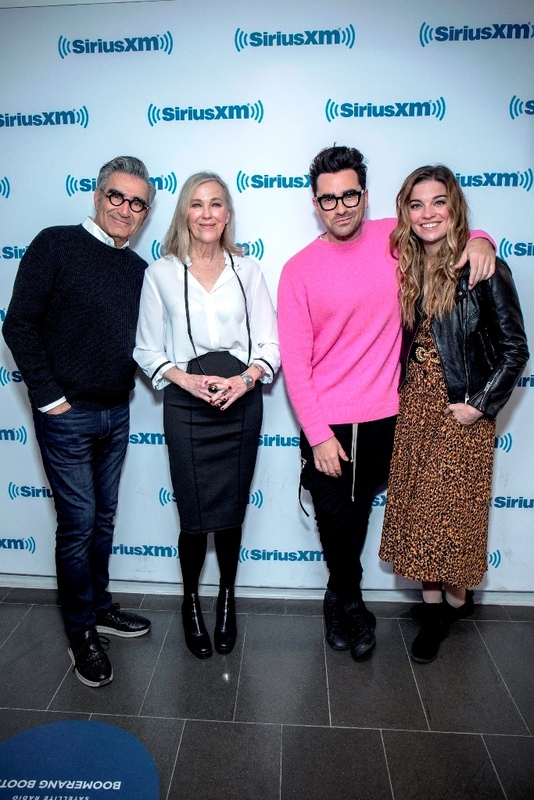 The second-most referred show for super-soft watching, Schitt’s is the brainchild of comedian and Canadian Dan Levy, and his dad, Eugene. It’s about a family of rich idiots who lose everything and have to move to a crappy small town where Chris Elliott is the mayor. Every single person on this show down to the background actors is absolutely flawless, but the real stand out is Catherine O’Hara, for whom this is a breathtaking showcase. When I finally got around to watching Schitt’s Creek, I finished it in three days and immediately turned around and watched again. Episodes air on CBC in Canada, but can be streamed up to season four on Netflix. Now, let Moira Rose and her brobdingnagian vocabulary wash over you in a calming repose.